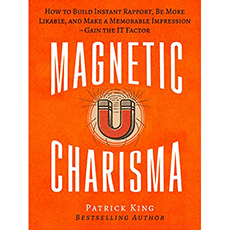 “Magnetic Charisma” offers actionable tips, questions, approaches, and techniques to develop your sense of personal magnetism and charm. It shows you how to develop your charisma by examining charismatic people and the subtle ways they act and think differently. It also teaches you what matters in an interaction.